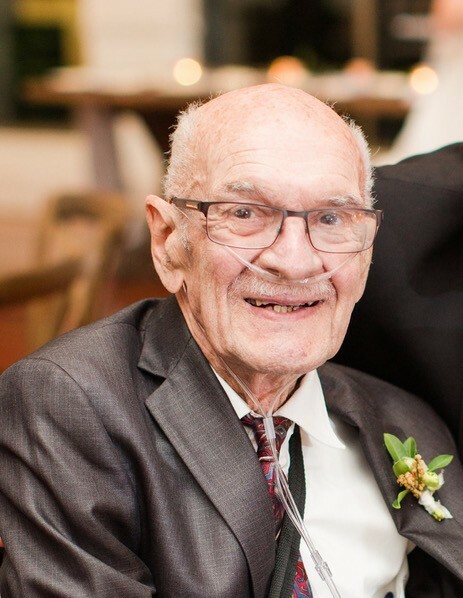 Gus George Pappas, age 90, of Sugar Hill, GA. passed away November 28, 2018. Gus was an Air Force and Navy veteran of WWII and the Korean War. He was a graduate of Syracuse University and he was also a mason. Gus is preceded in death by his parents, Nick and Valsamo Pappas; his wife, Alberta Pappas; and his two brothers. He is survived by his children, Nicholas (Monica) Pappas, and Sue Pappas(Greg) Foster; grandchildren, Nicholas, Lucas, Chesne Wood (Raul) Tamez, Brandy Foster, and Ashley ( Justin) Nealis; three great grandchildren; sister, Betty Kaminaris. Funeral service will be held Friday, December 7, 2018 at 11:00 a.m. at Saints Raphael, Nicholas, and Irene Greek Orthodox Church with Fr. Barnabas officiating. Interment will follow in Sawnee View Gardens. The family will receive friends on Thursday, December 6, 2018 from 6 p.m. to 8 p.m.